Now open for business: a new Long Realty office, established to offer Tucson’s southwest side easy access to comprehensive real estate services provided chiefly by Spanish/English bilingual real estate pros. Located in The Landing, a shopping center at the northwest corner of the intersection of West Irvington Road and Interstate 19, the new office—known as the Irvington and I-19 office—is now open. The office is open Monday through Saturday from 8 a.m. to 5 p.m., with Sunday hours from 10 a.m. to 3 p.m. Its street address is 1226 W. Irvington Road, #110. The phone number is (520) 918-8889. Featuring ample meeting space, the office allows Long Realty pros and their clients to get together in a local, friendly environment. Primary users of the office will be members of the company’s Grupo Hispano—bilingual agents from Long Realty’s Tucson-area offices, organized to better serve Spanish-speaking clients and the south and southwest parts of town in general. The Irvington and I-19 office raises the total of Long Realty offices to 41, including 24 independently owned franchise offices. The company fields more than 1,400 sales pros. For more information, contact Noe Durazo by email at NoeD@LongRealty.com or by phone at (520) 918-8810. 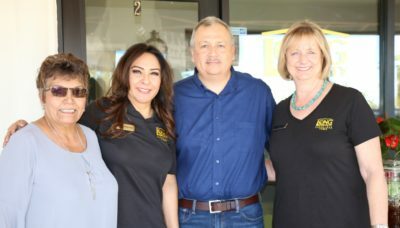 Share the post "Long Realty launches bilingual-services office on Tucson’s southwest side"
Long Realty’s already powerful Foothills office adds an associate broker as veteran agent Barbara Wilson rejoins the company. 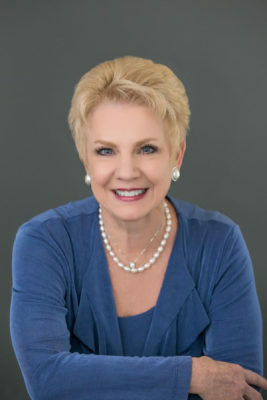 Known for her leadership within the industry, Wilson is president-elect of the Tucson Association of REALTORS®, the largest trade organization in Southern Arizona. 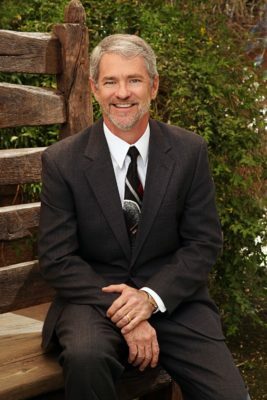 Wilson’s path into real estate began as a paralegal for a leading Tucson real-estate attorney. “After doing law for 22 years it was time for a change,” Wilson said. “Becoming a REALTOR® was a natural progression.” Wilson first received her real estate license in 2003, and in 2016 earned her broker’s license. As real-estate specialties Wilson includes working with second-home buyers, retirees and clients who are relocating from out of state. Originally from Mt. Auburn, Illinois, a family move brought Wilson to Tucson in 1975. Her professional designations—all awarded by the National Association of REALTORS®—include Seller Representative Specialist (SRS); Short Sales & Foreclosure Resource (SFR); and Graduate, REALTOR® Institute (GRI). She also holds the NAR designation – Performance Management Network (PMN), awarded by the Women’s Council of REALTORS®. This designation focuses on developing negotiation strategies and tactics, networking and referrals, business planning, personal performance management and leadership development. “Barbara is a wonderful addition to the Foothills office,” said Laura Mance, office manager. “Her leadership skills, her legal background and her track record all fit very well with our clients and our market.” Established in 1979, Long Realty’s Foothills office is the leading Tucson-area residential real-estate office as measured by sales volume. For more information, contact Barbara Wilson by email at bdlasky@gmail.com or by phone at (520) 240- 3560. 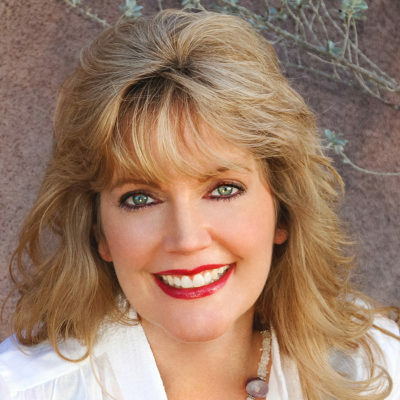 Her real-estate blog is at TucsonAzRealEstateBlog.com. Share the post "Associate broker Barbara Wilson returns to Long Realty"
Continuing its tradition of growing to meet expanding markets, Long Realty is adding a new office on Tucson’s southwest side to provide easy access to real estate services for the local community. Located in The Landing, a new shopping center at the northwest corner of the intersection of West Irvington Road and Interstate 19, the new office—known as the Irvington and I-19 office—is slated for a May opening. A firm launch date is still in the works. The new office positions Long Realty as the premier real estate company with a convenient physical presence on the southwest side. Ample meeting space will allow clients the comfort of meeting with their Long Realty sales associate in a local, friendly environment. The Irvington and I-19 office brings the count of Long Realty offices to 41, including 24 independently owned franchise offices. The company fields more than 1,400 sales associates. 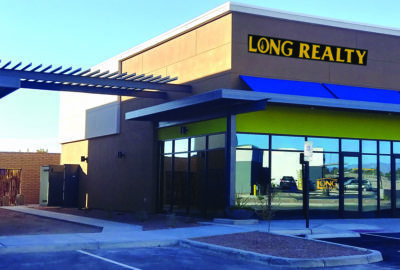 Share the post "Long Realty readies new office on Tucson’s southwest side; launch soon"
Two veteran associate brokers with Long Realty took high honors at the company’s annual recognition event, held Feb. 15 at the Tucson Convention Center. The Samuel H. Woods Community Service Award for 2018 went to Peter DeLuca, with the company’s River/Campbell office. Ken Ryan, with the company’s Tanque Verde office, won the Barrington Long Lifetime Achievement Award for 2018. Created to recognize the Long Realty sales associate who best exemplifies a commitment to community involvement and “service above self,” the Samuel H. Woods Community Service Award went to Peter DeLuca, an associate broker since 1992. The award is named for Samuel H. Woods, a former Long Realty member renowned for his community-service engagement. The award includes a donation to the Samuel H. Woods Memorial Scholarship Fund in the name of the recipient. Administered through the University of Arizona Foundation, the fund supports a scholarship for a student studying regional land development at the UA’s School of Geography & Development. DeLuca qualified for the honor by “giving generously with both his time and financial support,” wrote Linda Moore, branch manager at the River/Campbell office. Moore cited DeLuca’s long history of volunteering for community-support efforts from disaster relief and hospice care to mental health services and cold-weather emergency homeless shelters. Winning the Barrington Long Lifetime Achievement Award for 2018 was Ken Ryan, an associate broker since 1996. Named for Barrington Long, president and owner of Long Realty from 1952 to 1980—and son of company founder Roy H. Long—the award honors a sales associate who has had a significant impact on the field of real estate, earning the respect and admiration of professional colleagues and inspiring others to excel. In his nominating document, Don Geisler, manager of the company’s Houghton/Southeast/Vail branch, wrote Ryan was “calm, focused, and always made everybody comfortable that strong leadership was in place to navigate the challenges” of the “lengthy, massive recession” that began in 2008. The recession led many real-estate professionals to leave the industry, Geisler noted. Share the post "Long Realty honors two for community service, professional leadership"
Long Realty’s coverage of the booming Yuma-area real estate market took a big step up with the recent launch of a third franchise office. The Long Realty San Luis office opened January 20 to serve the San Luis and Somerton areas. The new office is a branch of the Long Realty Yuma-Foothills office, established in 2014. Owner Elizabeth Carpenter, a 30-year veteran of the real estate business in Yuma and San Luis, will serve as designated broker for both offices. Franchise offices are independently owned and operated, but draw on the services, support and considerable name recognition of Tucson-based Long Realty, a regional powerhouse and Berkshire Hathaway affiliate. Long Realty now comprises 40 offices—including 24 franchise offices—with more than 1,400 sales associates. Located some 20 miles south of Yuma, on the border with Mexico, San Luis is a port of entry with a population exceeding 30,000. Somerton is roughly halfway between Yuma and San Luis. With a mix of agriculture, manufacturing, light industry and trade, San Luis is among the fastest-growing rural areas in Arizona. The office will advertise in Mexico, Carpenter said, but will represent properties only on the U.S. side of the border. The initial staff for the office will be two agents, Carpenter said, with another agent or two slated to join the team soon. Veronica Zavala will serve as the Branch Manager. Veronica has over 10 years’ experience as a realtor and lives and works in the area. She is bilingual and a very active member of the community. In addition to working with residential buyers and sellers, the office will partner with two new-home subdivisions and an industrial park now being developed. Long Realty San Luis is located at 1914 Juan Sanchez Blvd., in the Plaza Riedel. For more information, contact Elizabeth Carpenter, Long Realty San Luis owner/broker, at (928)503-0110 or by email at ECarpenter@LongRealty.com. 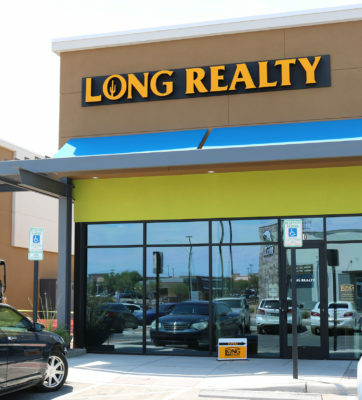 For information about franchising opportunities with Long Realty, contact Ann Sullivan, vice president of franchise sales and support, at (520)906-9900 or by email at AnnSullivan@LongRealty.com. Share the post "New franchise office boosts Long Realty’s Yuma-area coverage"
There are so many reasons to move to our beautiful home state of Arizona! We have unrivaled weather for most of the year, places rich in history and culture, picturesque sunsets and the coolest state flag. Still not convinced!? Check out these awesome accolades from 2017 recognizing some of our major cities. Arizona’s Mayo Clinic Campus Ranks in Top 20 Hospitals Nationwide. Arizona ranks Among Top States for Job Growth Increase 2016-2017.
Business Expansions in Southern Arizona total 4,500 new hires through new positions created. Tucson ranked #1 most affordable large city in US. Tucson Ranks 2nd in New ‘America’s Best Cities’ Report. Tucson is Among Top 10 Most Popular Cities to Live in 2017. Arizona-Sonora Desert Museum ranked 3rd of 10 Best Zoos in the United States in 2017. Plus they celebrate their 65th anniversary in 2018. Green Valley Ranks Top 25 Best Places to Retire in 2017. Phoenix ranks the 8th Best City to Retire. Phoenix is now the 5th Largest City in the US. Phoenix ranks as a Top 2017 U.S. market for industrial, manufacturing. Scottsdale ranks as the Best City in the Nation to Get a Job. Casa Grande secured the Lucid Motorsports Manufacturing Facility to bring 2,000 jobs to the area. Share the post "Arizona’s Awesome Accolades 2017"
Continuing its longstanding tradition of leadership in providing in-depth coverage of trends and predictions in the regional real estate market, Long Realty recently released its content-rich 2017 End of Year Housing Report for Tucson and Southern Arizona, and for Phoenix, Central and Northern Arizona – an eight-page look at where the area’s market has been and where it’s heading. Bottom line: For most of Arizona, the seller’s market is expected to continue. The inventory of homes for sale continued to decline in 2017, while sales continued to increase. Available at no charge only from Long Realty—both online and from company-affiliated sales agents. The report offers big-picture looks at Housing Market Trends, Recent Tax Changes, and Community Growth and Accolades. The report concludes with Rosey’s Market Insights, by Rosey Koberlein, CEO of Long Companies. Koberlein cites a mix of factors—strong demand for housing outpacing the available supply; attractive mortgage rates; a muscular stock market; baby boomers seeking a warmer retirement locale; and an expanding local job market—to forecast continued local growth in housing sales and pricing for 2018. Bringing some clarity to homebuyers and sellers, the reports includes a discussion of what to expect as the Tax Cuts and Jobs Act of 2017—the recently enacted tax overhaul—begins to take effect. 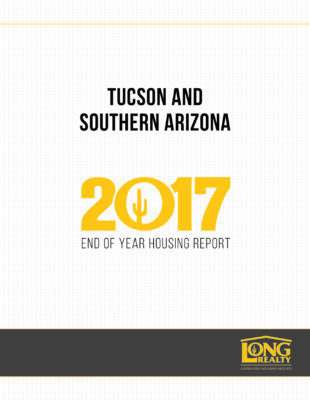 The 2017 End of Year Housing Reports for Tucson and Phoenix areas are available online at LongRealty.com/market and from Long Realty sales agents. For more information on the housing market or to schedule an interview with Long Companies CEO Rosey Koberlein, please contact Kevin Kaplan, Vice President of Marketing and Technology, at KKaplan@LongRealty.com or (520) 918-3874. 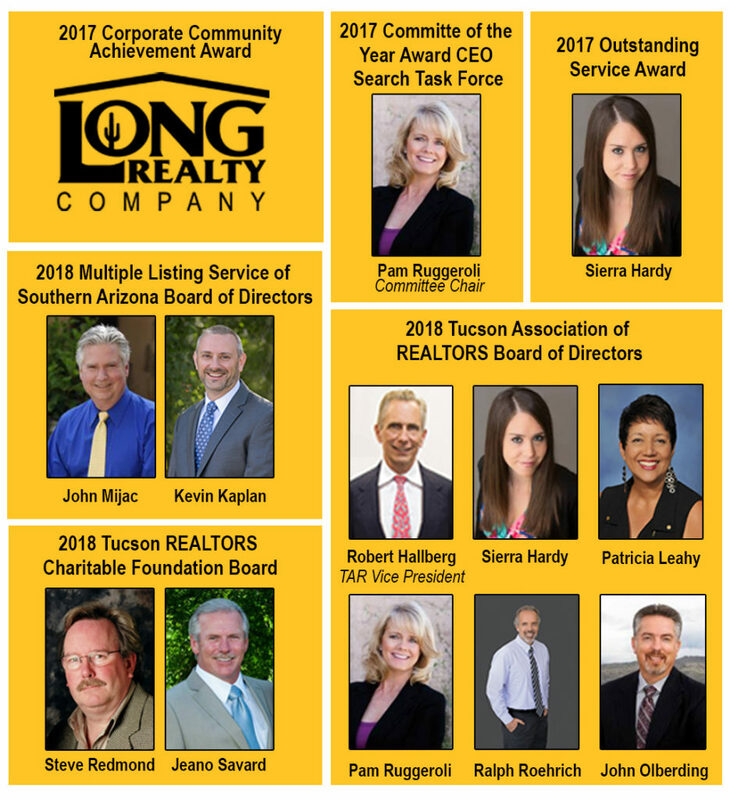 Share the post "It’s good news for sellers as Long Realty releases 2017 housing reports"
It wasn’t a clean sweep, but Long Realty Company and its affiliated brokers and sales agents collected a host of awards and leadership positions during the recent Tucson Association of REALTORS®’ 2018 Installation and Awards Ceremony. The event was held November 17 at the JW Marriott Tucson Starr Pass Resort & Spa. Of the nine award categories—both individual and group—for 2017, three honors went to Long Realty or its affiliated personnel. The company won the vaunted Corporate Community Achievement Award, This honor recognize a REALTOR® company that demonstrated exceptional commitment to making our community better. It is one of the more competitive categories because so many companies do many good things throughout the year. While up to three brokerages a year can be recognized, Long Realty was the solo honoree for 2017. Winning an Outstanding Service Award was Sierra Hardy, a sales agent with the company’s Foothills office. This award recognizes individuals who serve TAR and the broader industry with distinction. Also honored with a Committee of the Year award was the association’s CEO Search Task Force, chaired by Long Realty’s Pam Ruggeroli, an associate broker with the Tanque Verde office. As TAR’s top-performing committees these volunteer groups are honored for advancing the goals of the association. Named to the TAR board of directors for 2018 are four Long Realty affiliates continuing from the 2017 board. Stepping up to vice president is Robert Hallberg, an associate broker with the Houghton/Southeast/Vail office. Also continuing are Sierra Hardy and Patricia Leahy, an associate broker with the Foothills office. Pam Ruggeroli remains on the 18-member board as immediate past president. Incoming members include associate broker Ralph J. Roehrich and sales agent John Olberding, both with the Tanque Verde office. 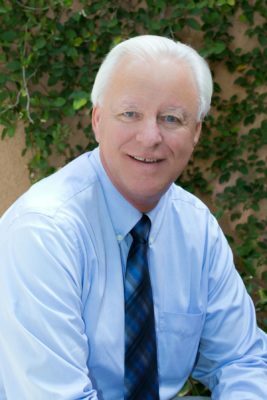 Joining the 2018 board of directors of the Multiple Listing Service of Southern Arizona is John Mijac, Long Realty’s designated broker. Continuing with the board for another year is Kevin Kaplan, Long Companies’ vice president of marketing and technology. Both are with the company’s home office. The MLSSAZ is a wholly owned TAR subsidiary with its own 10-member board. And serving on the 2018 Tucson REALTORS® Charitable Foundation board are Steve Redmond of the Foothills office and Jeano Savard of the Tanque Verde office. The board comprises 15 members. “Long Realty is focused on positively impacting people’s lives, including giving back to our community. One way we do this is through supporting our industry and local Realtor associations. I am proud of how our organization and individuals volunteer their time and resources to this important cause.” said Rosey Koberlein, Long Companies CEO. Founded in 1926, Long Realty Company is the leading residential sales company in Southern Arizona. It fields more than 1,400 licensed real estate sales associates in more than 38 offices, including 23 affiliate realty and property management companies in Arizona and into Mexico. For more information, contact Kevin Kaplan by email at KKaplan@LongRealty.com or by phone at (520) 3874. Share the post "Long Realty makes a strong showing at REALTORS® ceremony"
Long Realty’s Foothills office continues to add to its already-deep talent pool with the arrival of Sheri Smith, an associate broker and native Tucsonan returning to her roots after a 15-year stint as a REALTOR® in southern New Jersey. Before adopting her married name, Smith was known as Sheri Munday. Smith’s résumé includes multiple credentials from the National Association of REALTORS® to denote advanced training and skills in specific professional areas. She holds the designations of Seller Representative Specialist (SRS); Accredited Buyer’s Representative (ABR); Graduate, REALTOR® Institute member (GRI); Short Sales & Foreclosure Resource (SFR); e-PRO (online and digital representation); and Certified Residential Specialist (CRS). The CRS designation is the highest credential awarded to residential sales agents, managers, and brokers. Smith is also a National Association of REALTORS®-trained mediator. With a focus on residential properties, Smith works with buyers and sellers and counts consulting and short sales among her specialties. In addition to her work as an associate broker, Smith is a real-estate photographer and business/life coach. Located at 4051 E. Sunrise Drive, Suite 101, Long Realty’s Foothills office is Tucson’s leading residential real estate office as measured by sales volume. The office was opened in 1979 to serve the Catalina Foothills and greater Tucson markets. For more information, contact Sheri Smith by email at SheriSmith@LongRealty.com or by phone at (856) 625-0160. Share the post "Sheri Smith joins Long Realty’s Foothills office as associate broker"
Keeping pace with the growing regional real estate market, Long Mortgage Company has added a second loan officer to support operations at Long Realty’s Tanque Verde office. Chelci Clarke started in her new position October 27. Clarke, a California native, moved to Tucson in 2015. 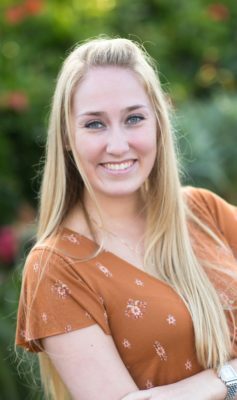 She began her Arizona mortgage career as an assistant loan processor with another company, where she learned the ins and outs of the business. Soon she moved up to loan officer, handling originations. An affiliate of Long Realty, Long Mortgage Company offers loans for real estate purchases and refinances. Included are FHA, VA, conventional, renovation, and jumbo mortgages, as well as down-payment assistance programs. Every Long Realty office hosts at least one consultant; initial consultations are free. As a military spouse, part of Clarke’s mission will be to guide veterans and active-duty personnel through the VA loan process. Clarke is also working on an MBA in healthcare administration from Northern Arizona University. Long Realty launched the Tanque Verde office in 1982 to serve the northeast, southeast, and central areas of greater Tucson. The office is located at 6410 E. Tanque Verde Road. For more information, contact Chelci Clarke by email at chelciclarke@longmortgage.com or by phone at (520) 918-5805. Share the post "Long Realty’s Tanque Verde office doubles mortgage staff"